It is recommended to play the test presentation to confirm connectivity prior to the day of a live streaming event. Click on the thumbnail to learn about the Mediasite player. 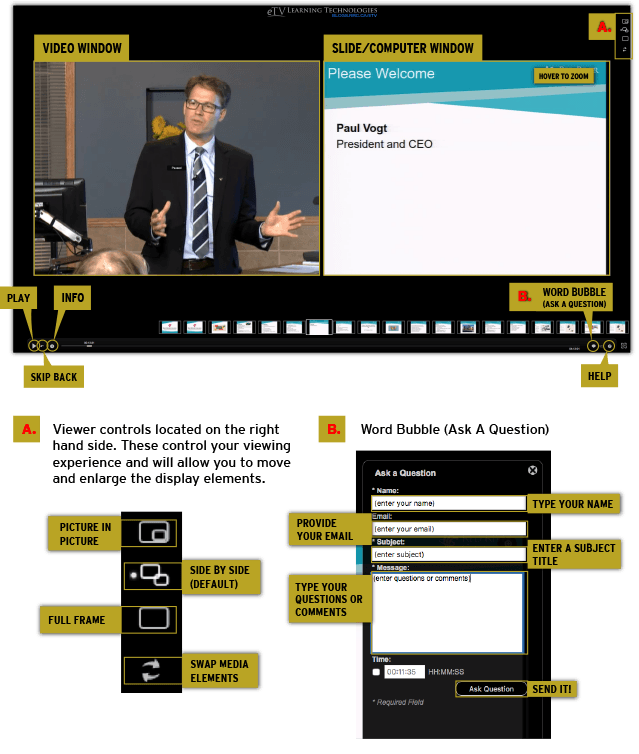 During a live presentation, you are encouraged to ask questions or add comments. To do so, click on the “word bubble” icon found on the bottom right of the player and include your name, email address, and a subject heading. The “word bubble” can also be used to report any technical issues to eTV staff.